I've had a box of old t-shirts sitting in the closet for years doing nothing but taking up space. 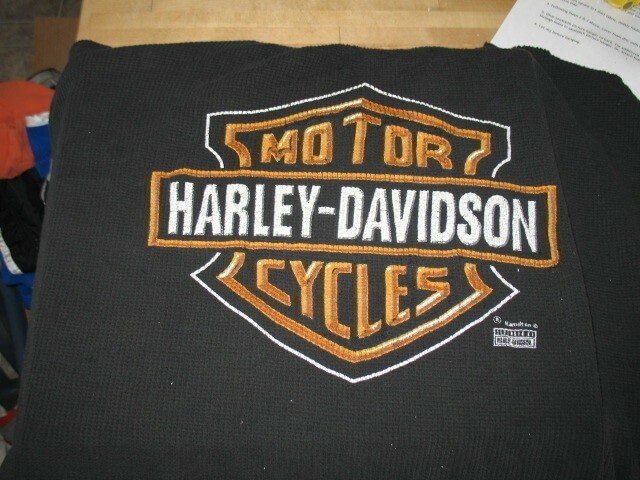 They were old Harley t-shirts from when my nephews were toddlers and old t-shirts that I've work out. I was watching a design show and saw a boutique was selling t-shirts made into wall art for big $!! Ridiculous money! I mean 1 months mortgage payment. I saw how simple it was and decided I could do it myself. I don't do things small so I decided to make 16, yes 16 for the wall in my bedroom. It cost less than $15 to make all of them and I have enough materials left to make 10 more. 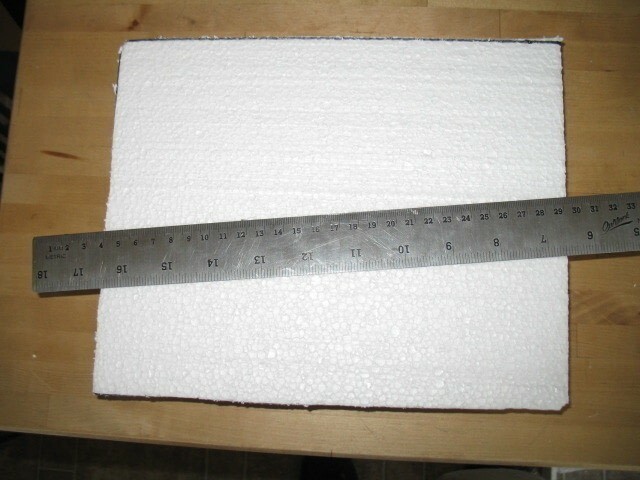 The styrofoam I used was 1 3/4" thick. 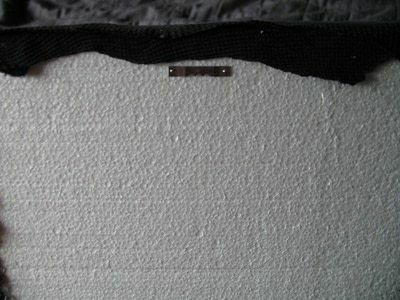 You might have some styrofoam laying around that you can save from the landfill. I bought it at a home improvement store. It was 80% cheaper then buying it at a craft store BUT craft stores do sell it in smaller pieces so you may not have to cut them. I used an old electric knife to cut mine with no problems. 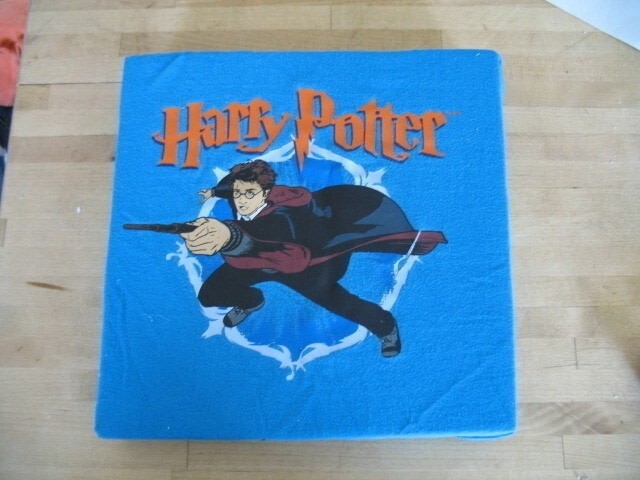 Hunt down an old t-shirt. Cut out the sleeves and cut up the sides of the shirt. Save the extra fabric for another project or to make rags. 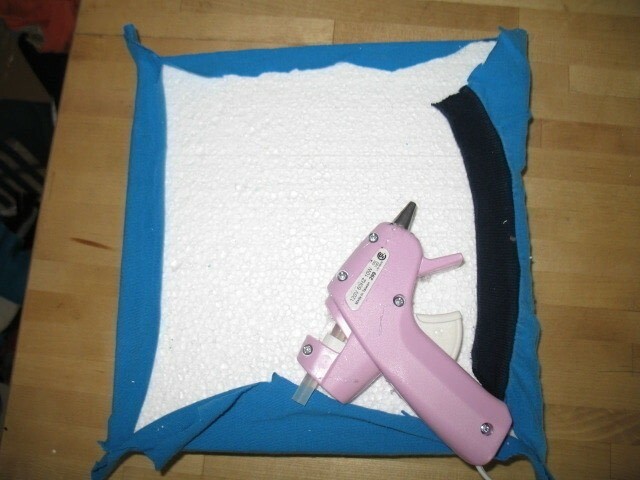 Using your hot glue gun gently stretch the t-shirt and glue it to the back of the foam. Glue the corners last. Add the picture hanger of your choice. I used 1 5/8 self leveling picture hangers. They were super cheap and came with little nails that we used to attach to the foam. They held the art to the hanger with no problems. I purposely did not center every image perfectly on the styrofoam. I like things that aren't perfect. These are hung over my bed in lieu of a head board. I just started a Harry Potter wall art that I am going to embellish and will post once I am finished. You can use t-shirts from anywhere, anyone or anything! The sky's the limit! 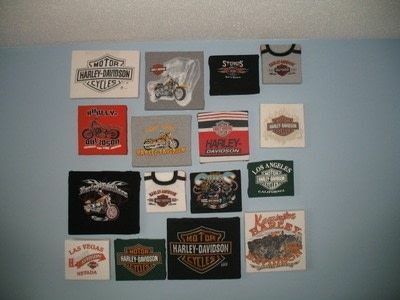 Almost all of these shirts are my nephews from when they were little. It's very cute to see them hanging over my bed every night. I've since added to them and shuffled them around.